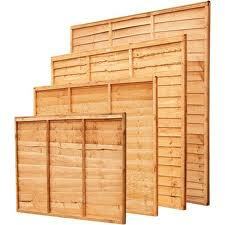 Modern wooden or timber fencing systems have become extremely popular. The timber is treated with preservative to resist damp and rot, giving it a longer life. 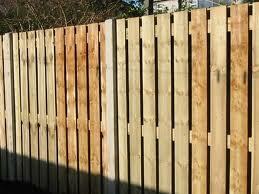 Read more about fence finishes here. 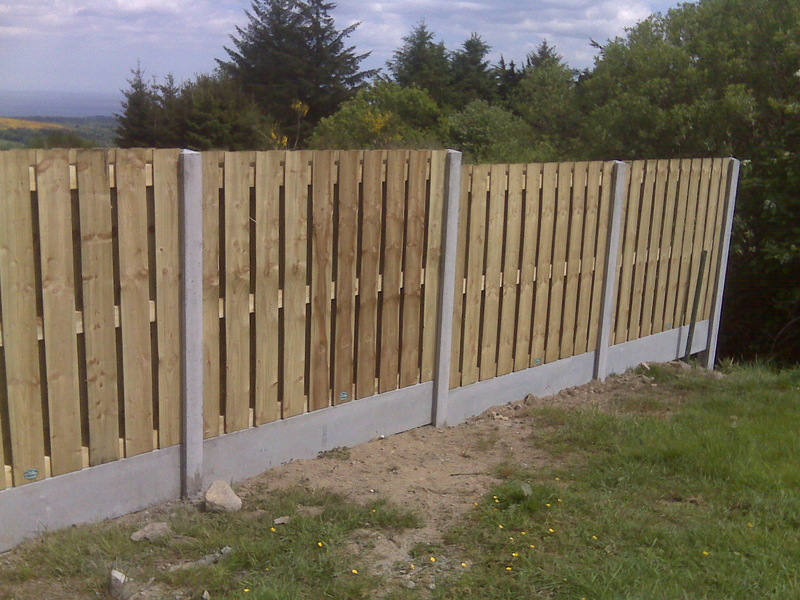 Concrete fence posts are now used instead of timber, so that the fence posts don't rot, and often, fences have a concrete plank along the bottom, again to prevent the timber sitting on often wet ground. 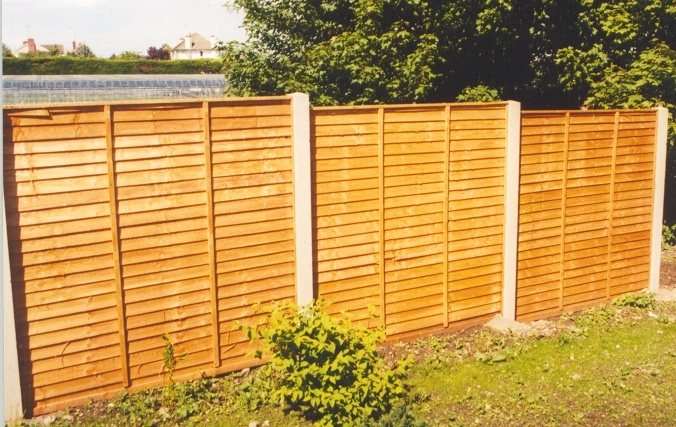 Timber fence panels are now available in a variety of styles, and when combined with fence-posts of concrete or steel, they make a very attractive and durable fence, improving and adding value to your home. 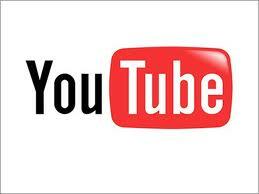 The most popular styles are "Overlap panels", and "Hit and Miss panels". 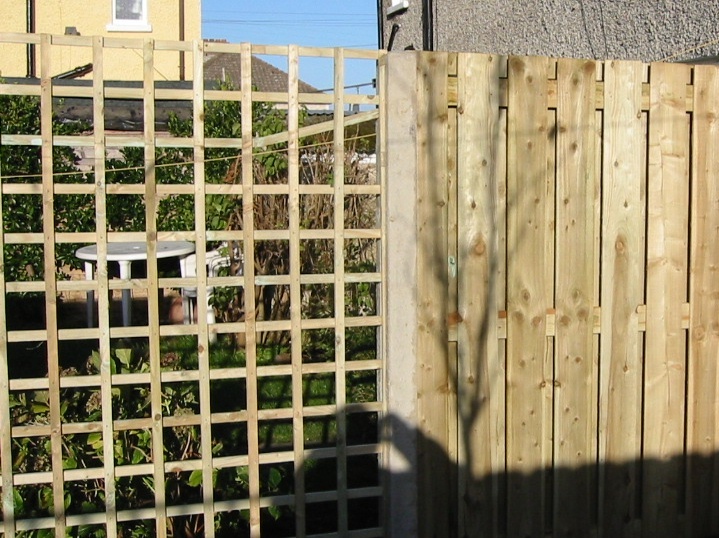 Trellis type panels are often fitted along the top, sometimes in curved shapes. 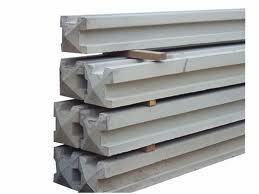 Panels are generally 6ft/1.8m wide, and are available in a range of heights from 3ft/0.9m to 6ft/1.8m. Its possible to go higher by combining panels.